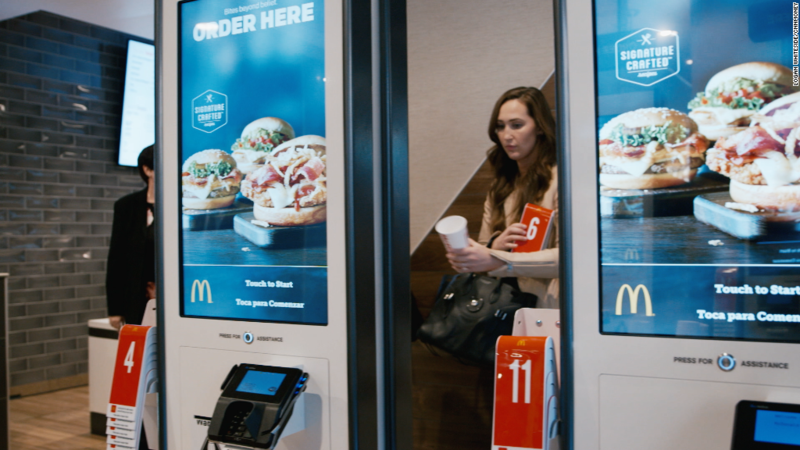 McDonald's CEO Steve Easterbrook thinks the economic uncertainty that existed in the months before the election will continue for "the next couple months at least" as President-elect Donald Trump wrestles with his transition. "We all want a stable, consistent growth economy," Easterbrook told CNNMoney's Cristina Alesci. Uncertainty surrounding the election dampened consumer confidence. It's good for business to finally have an outcome, Easterbrook said. But it's still early in the transition process. McDonald's and its customers have to contend with a host of unknowns, from employment to trade. "No one likes uncertainty," Easterbrook said. "The sooner we get through this period, and there's some clarity as to the way things are going to go forward, we'll be able to make the long term decisions of business -- just the same as consumers and families." That may not happen until 2017, he admits. "Consumer sentiment and consumer confidence has been muted the last few months," Easterbrook said. "I don't see that changing materially...for the next couple of months at least." In the meantime, McDonald's will be monitoring the words and actions of Team Trump. "We'll be listening carefully," Easterbrook said.